using mobile devices to create content. 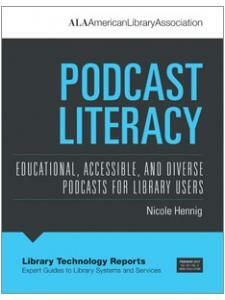 Nicole Hennig is an expert in mobile technologies for libraries. In her 14 years of experience at the MIT Libraries, she won awards for innovation and worked to keep academics up to date with the best mobile technologies. Now she has her own business helping librarians stay current with new technologies. She is the author of several books, including Keeping Up with Emerging Technologies and Apps for Librarians. Like most librarians, she is passionate about access to information for all. To stay current with the best technologies for education and productivity, sign up for her email newsletter, Mobile Apps News, on nicolehennig.com.